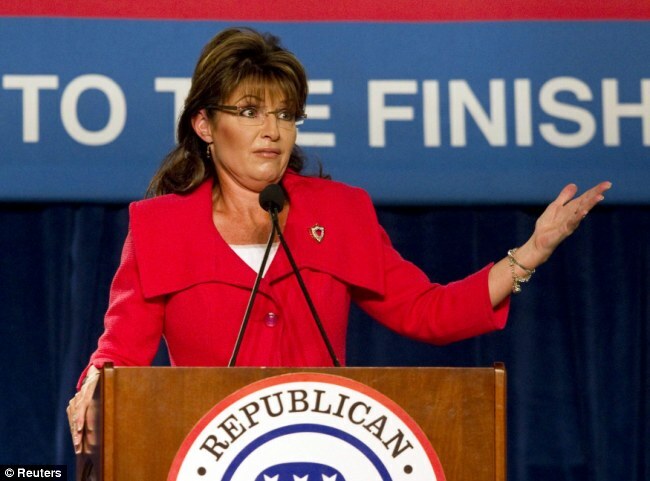 Sarah Palin at a recent 2010 midterm election campaign event. Conservative columnist and former Reagan speechwriter Peggy Noonan doesn’t like people demeaning the Gipper’s legacy, not even Sarah Palin, and not even if she’s only talking about the former president’s Hollywood career. Americans don’t want, as their representatives, people who seem empty or crazy. They’ll vote no on that. This entry was posted in 2012 Presidential Race, Sarah Palin - Private Citizen and tagged Palin, Palin Reagan, Peggy Noonan, Peggy Noonan Sarah Palin, Politics News, Reagan, Ronald Reagan, Sarah Palin, Sarah Palin News, Sarah Palin Nincompoop, Sarah Palin Reagan, Sarah Palin Ronald Reagan. Bookmark the permalink.